Recently, I got an idea that the Lord (Fate / Universe — call it what you want) have one favorite game. And it’s not roulette. This is a puzzle. Each of us was born with a ready-made puzzle for him. When the puzzle is done you will have a picture of your life. In some parts, it is colorful and bright, other black and white or boring gray. In each picture there is everything. And the life process — the process of collecting this puzzle. 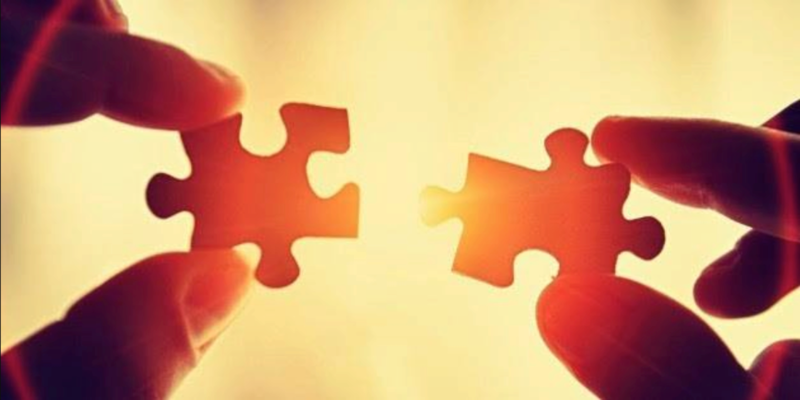 Every event in life provides us with another piece of the puzzle. And our task — to understand where this piece fits. And it’s not easy. Sometimes, when we get another “colorful” piece, we stubbornly cram it wherever we would want it, without noticing that it was made for the other place in our picture. Or it looks like fit by form, and right by content, but doesn’t let you build a further picture. Or there is no sense in the picture that you see. Then all will have to do is go back and re-build. And I noticed that people using different methods of doing puzzles. Someone starting it with one piece, methodically looking perfect connected piece to it, thereby filling the picture as weak pouring water into a glass. And someone else is trying to start with a few places, attaching the appropriate pieces of it here and there. And only then, someday, will bring together large areas of the life path in one picture, and will finally understand the whole meaning of his crazy life. We all playing in puzzles. And we are pieces of strangers puzzles.We are crossing each other lives, evaluating the form and content. Making decisions: to put this piece aside to insert into the picture later, or find the perfect place here and now. And it is very important to understand that in this game, among the people no winner or loser. The main thing here — to enjoy the process.